Do you ever wish you could know who was on your website and when? Do you wish you could talk to them and offer help? Here at Tweetiepie Media, we have new, state-of-the-art, award winning software that not only alerts you when someone visits your website and what pages they are viewing at the time, but also allows you to live chat as they browse. In short, we deliver instant customer happiness. Tight for time? 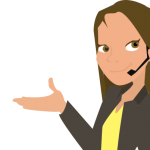 Our fully trained team are on hand and ready to monitor live chat, answer customer questions and create leads for your business so you can spend your time elsewhere. You will receive instant updates about potential leads straight to your inbox as and when they happen. Whether it’s one to one, or for your entire team, we offer various training options to suit your business. You will receive an initial training session, an instructions manual and the option of continuous support from our fully trained team of specialists. For all inquiries, please get in touch: hello@tweetiepiemedia.com or chat with us live!